Google Home Hub – manage all of the connected devices from a single screen and display YouTube, Google Photos and more. 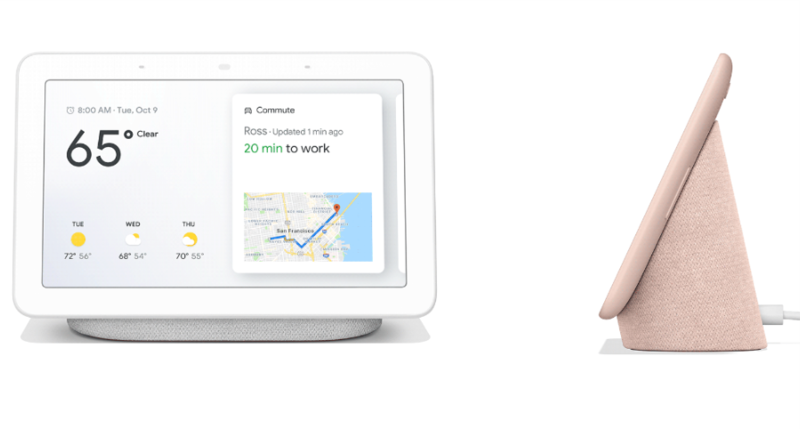 Google Home Hub controllable with voice, the 7” screen with the Google Assistant built-in, bringing the ability to display YouTube, Google Photos, Calendar, Maps and more. But missing a camera.